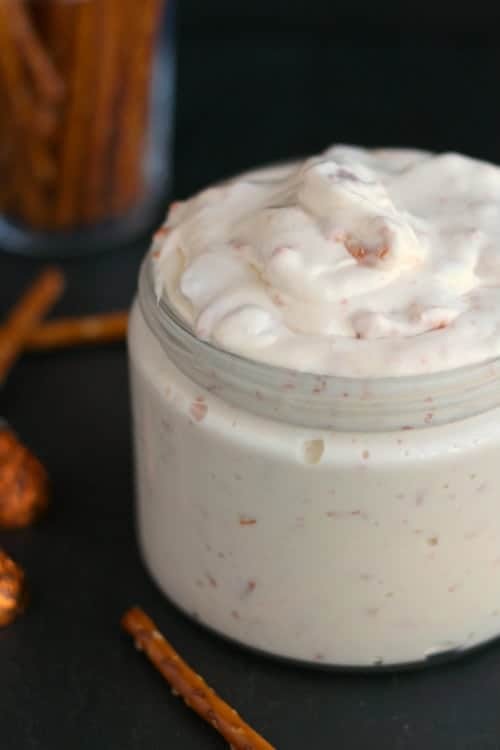 This pumpkin spice dip is so easy to prepare — only three ingredients! Perfect for your next party. Pumpkin pie spice this and that is all the rage, right? As it very well should be. The flavors of nutmeg, cinnamon, ginger and cloves are enough on their own to warm up the chilliest of days. When I saw Hershey’s had pumpkin spice kisses, I knew I had to try them. 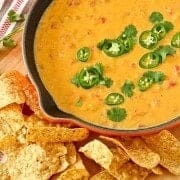 I made this super simple dip with only two other ingredients. It’s so fun, so easy to prepare and so festive! Using a stand mixer and the paddle attachment, mix cream cheese and marshmallow fluff on medium speed until fluffy and well combined. Add in kisses and continue to mix until kisses are broken up and incorporated. 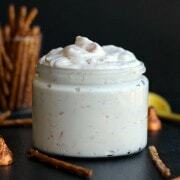 Best served immediately with pretzels or animal crackers but may be refrigerated. If refrigerated, let come to room temperature for about an hour prior to serving. 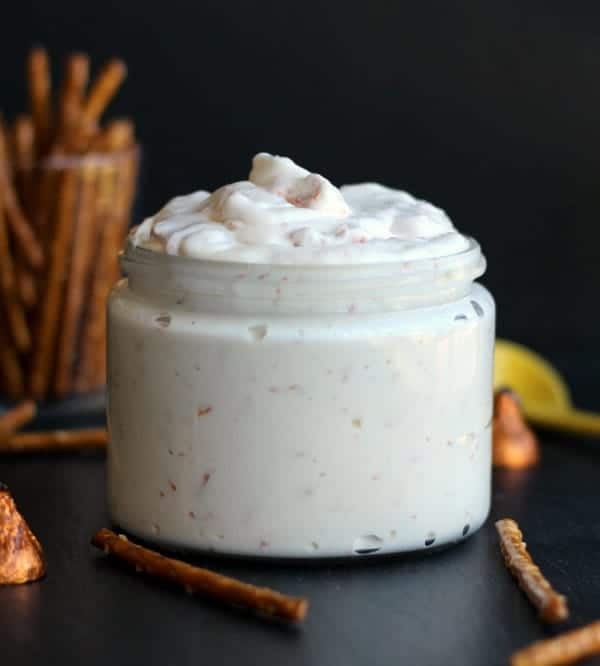 I originally shared this recipe on Katrina of In Katrina’s Kitchen site while she was recovering from a hospitalization so you can also find the recipe over there on her site. Since I can’t bring her casseroles and take her kids to the park, this is the next best thing. Head on over there and give her some love! Pssst: This isn’t sponsored. Hershey’s doesn’t know I wrote this post. I just can’t resist a fun product! 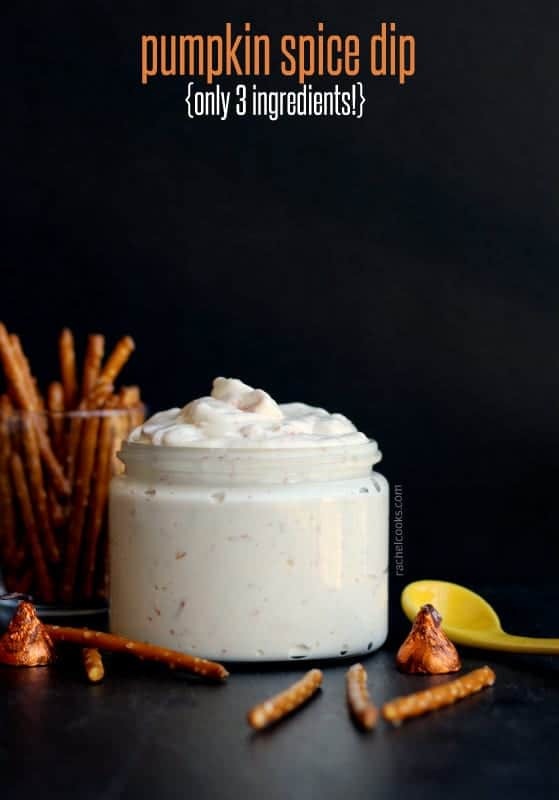 I wanted to make this for our Caring Hearts Circle meeting last night but couldn’t find the Hershey’s Pumpkin Spice Kisses – I substituted Hersheys Chocolate Caramel Filled Kisses and everyone loved it! I think it would be good with any of the different flavored Kisses! I served it with the pretzel dipping sticks you show in the picture. I have also shared this page on my FB timeline. So glad you liked the dip! Thank you! Yum! This dip sounds amazing and is so simple – I will definitely be trying soon! Oh wow Rachel this looks amazing! I can’t wait to try it! Pumpkin everything is my addiction right now. This dip looks amazing. Going over to grab the recipe. 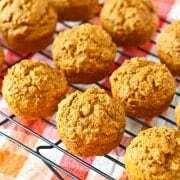 I just wanted to say that I found those kisses a few years ago and made snickerdoodles into balls and put the kisses in the middle when they came out of the oven–like the peanut butter with chocolate kisses–yum yum–great hit at halloween parties and as a treat at work! Sounds and looks delicious! You are amazing! 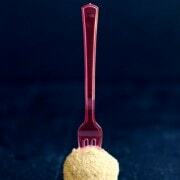 Denise had a good idea with ginger snaps used as a dipping vehicle! I love ginger snaps.